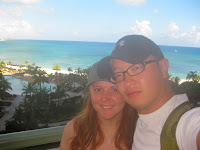 At the beginning of August Joe and I went to the Bahamas for work. Work?!? you say, yes indeed. Work. My company brought some clients out there. It was fun but also a lot of, you guessed it...work. 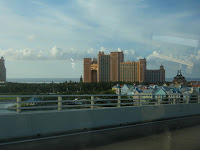 We did stay at a really swanky hotel called The Cove at the Atlantis Resort. Our room over looked the ocean. So beautiful! The first night we did have some free time so we went to eat at Bobby Flay's Mesa Grill. 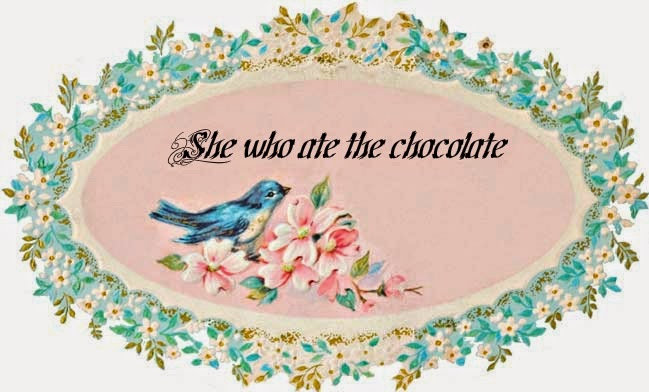 The food was okay. Not the super high end that I would have expected. Or that I experienced when I ate at his restaurant Bar Americain in NY. But my steak was tasty. The next day I spent working but Joe got to kind of hang out and did go on the famous lazy river. That night we had a cocktail party to attend. I wore a little hot pink number that my friend Jaime helped me pick out. It looked great with my spray on tan!! 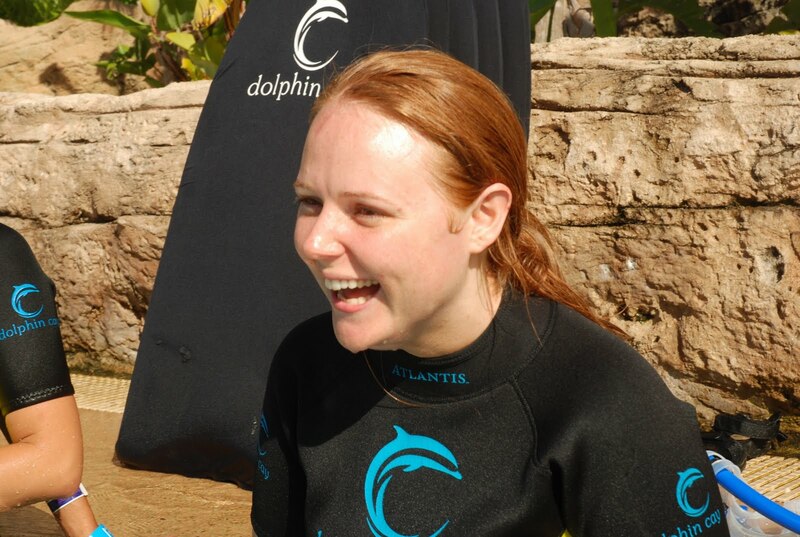 The following day we went Scuba diving which was probably one of the scariest experiences of my life. I have never been a water baby. In fact I really don't like having my face underwater for extended periods of time. So this was quite a day. After having a mini panic attack in the training pool. I finally passed everything I needed to do to go out into the ocean. Once I got out there I couldn't get my ears to pop. The entire group including Joe (who was extremely hesitant to leave me) went down. One really sweet instructor held my hand and took me down real slow. I finally made it all the way down. It was awesome. 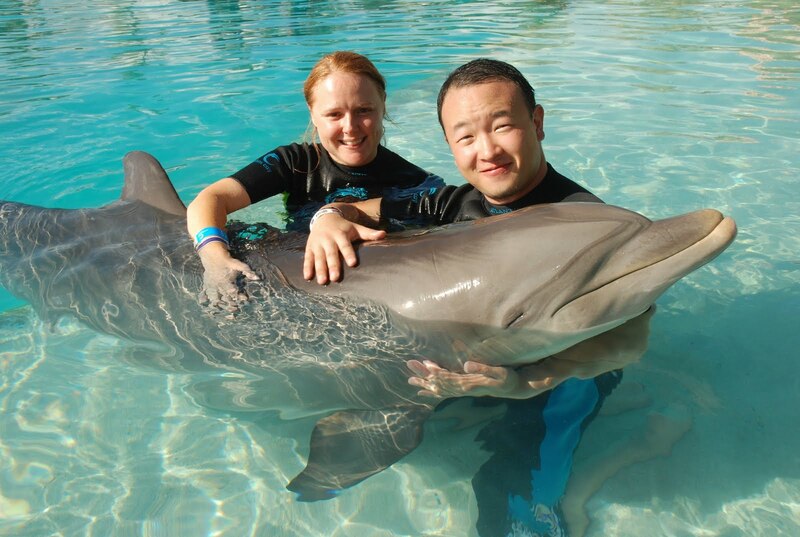 Day 3 i included swimming with dolphins which was by far the highlight of my trip. 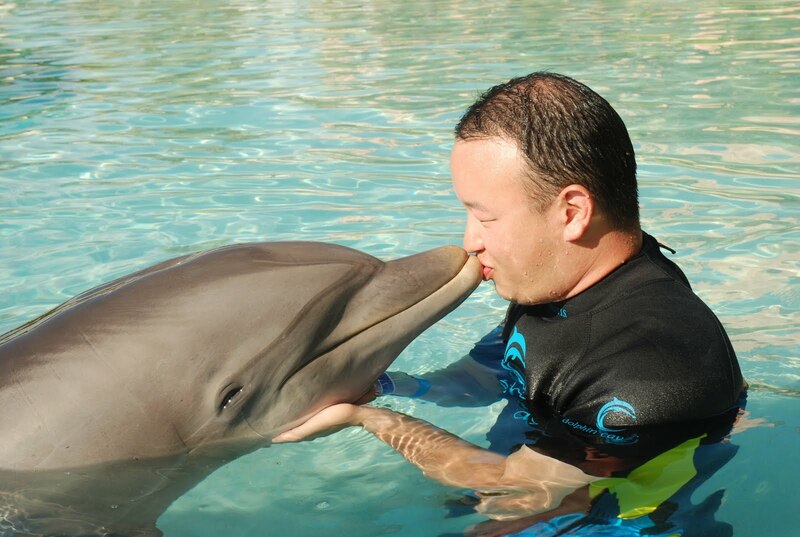 We got to hug and kiss them and then one pushed us across the pool with its nose. 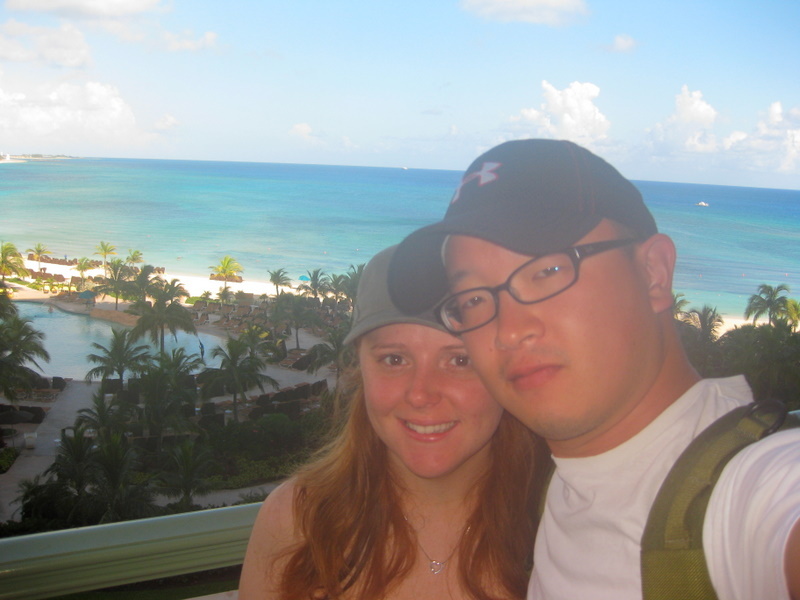 On our last day we took a couple of photos from the balcony. You can see the beautiful pool and ocean. 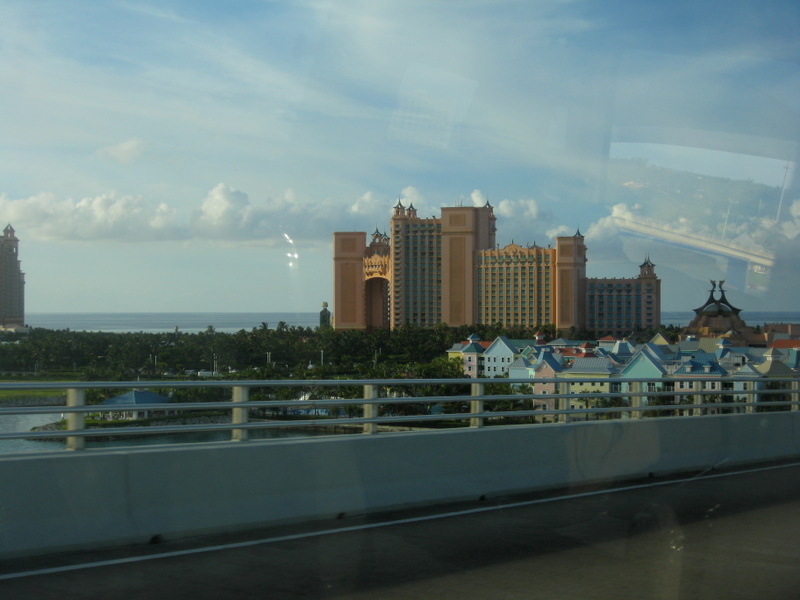 We had a really nice time despite all the work and we would totally stay at the Atlantis again. ps: my spray tan came off really early due to the salt water and sand. I looked like i had a skin problem. Not highly recommended. How does Snooky do it?